Who doesn’t love a bit of salted caramel? It’s got to be one of my favourite flavours. 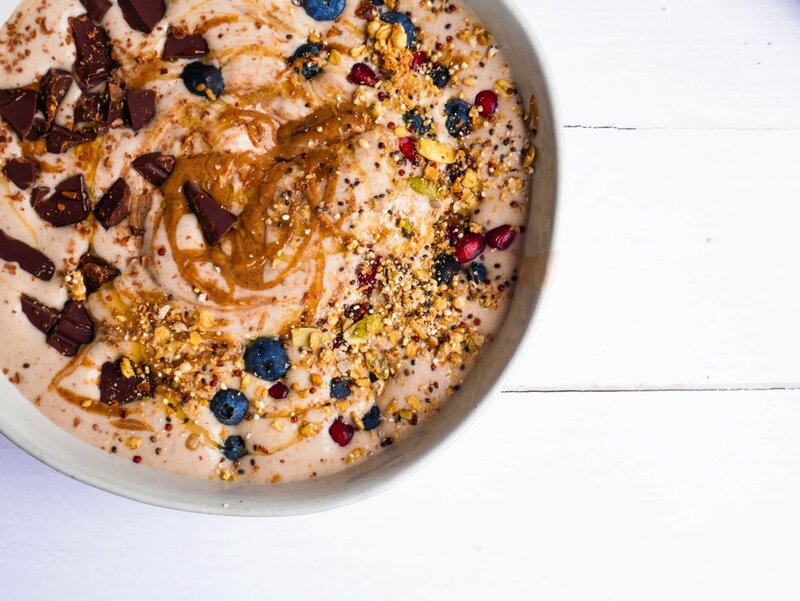 And, what better way to enjoy it than all whipped up into a smoothie bowl. Simply place all the ingredients in a blender and whizz until smooth. A smoothie bowl is a great alternative to your morning smoothie or it makes a great snack throughout the day. 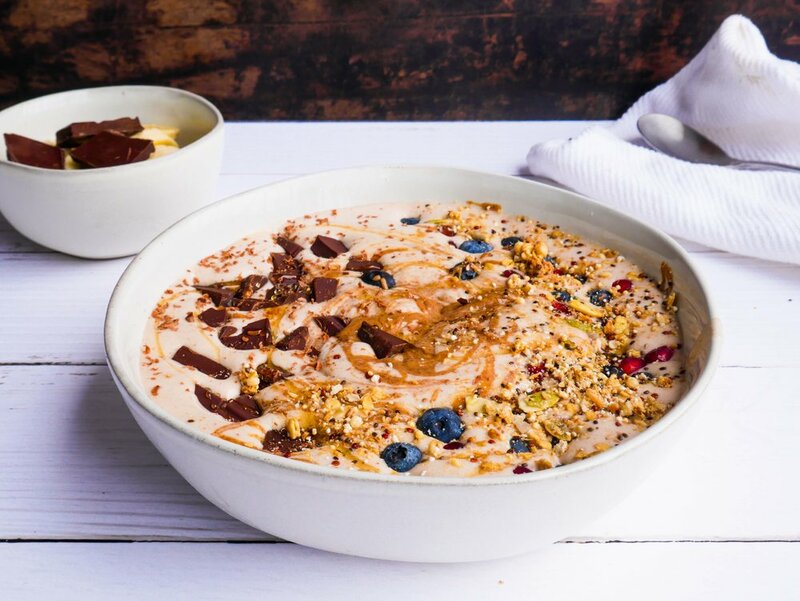 This bowl is heavenly and it tastes like dessert with this flavour combination. It only takes a couple of minutes to prepare and fuels you for hours. You can top smoothie bowls with whatever you have in your pantry. I went for dark chocolate, blueberries, granola and pomegranate seeds. Other options are banana, almonds, cinnamon, coconut chips, pumpkin seeds and yogurt.